We’ll be at the Curriculum Music Conference in London on Monday 12th March leading a workshop on how to develop literacy through body percussion. We will be running further body percussion with literacy workshops nationwide throughout the year. Please contact us for more details. Together with Kelly Green of Learn Happy, we’ve developed a series of exciting new workshops and CPD courses to promote mental well-being through percussion. We’ll be offering these workshops nationwide throughout the year. Simply contact us for more details. Following our work with international schools in 2017, we’ve launched a special 2 day whole school package for 2018. Our bespoke packages are designed to benefit your whole school community. We can tailor a package to suit the individual needs of your pupils and staff. Contact us for more information. 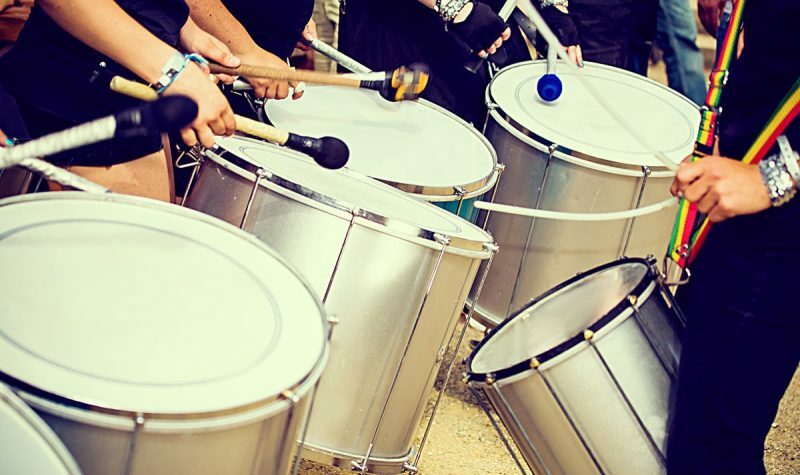 Beat Goes On provides STOMP-style body percussion and samba drumming workshops, as well as meaningful CPD for music teachers.